Fr. Kelsh was the great builder of churches and schools in the parish. Fr. Matthew Kelsh was born in Slane, studied in Maynooth and was ordained in June 1805. 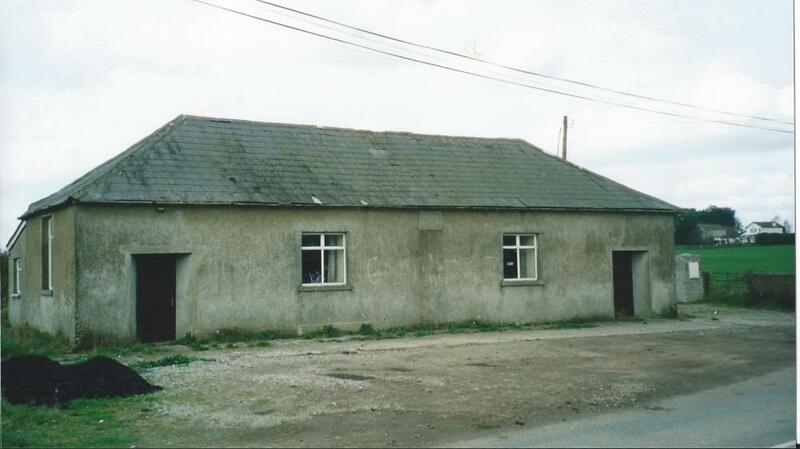 After a time as curate in Ardbraccan and elsewhere, he was appointed parish priest of Kilbeg in 1810, where he completed two chapels, which had been commenced by his predecessor. In eternal rest with God. Amen. He built two churches, Kilberry in 1839 and Oristown in 1841 dedicated to St. Catherine of Alexandria – a beautiful maiden of noble birth. He also built three schools in the parish, Oristown in 1841 in the church grounds, Kilberry in 1856 and Wilkinstown a year later in 1857. According to Griffith’s Valuation 1854, a Rev. Matthew Kelch occupied house, offices and land in Randlestown. The total acreage was thirty-four acres three roods and thirteen perches. The annual rateable valuation of the land was £35 and the buildings £9.The immediate lessor was Matthias Everard. Rev. Ulick Fursey Kyne succeeded Fr. Ryan as Parish Priest of Oristown-Kilberry on 4 May 1966. A native of Longwood, he was educated at St. Finian’s and the Irish College in Rome where he was ordained in 1936. (1947-57), Duleek (1957-62) and Beauparc (1962-66). He died suddenly whilst on a visit to FR. Kilmartin in Ballynacargy parish on 8 May 1968 and is buried in Kilberry church grounds. He was aged 54 years. His brother, Most Rev. Dr. John Kyne was Bishop of Meath, 1947-66. He died while Fr Ulick Fursey Kyne was serving in Oristown parish.